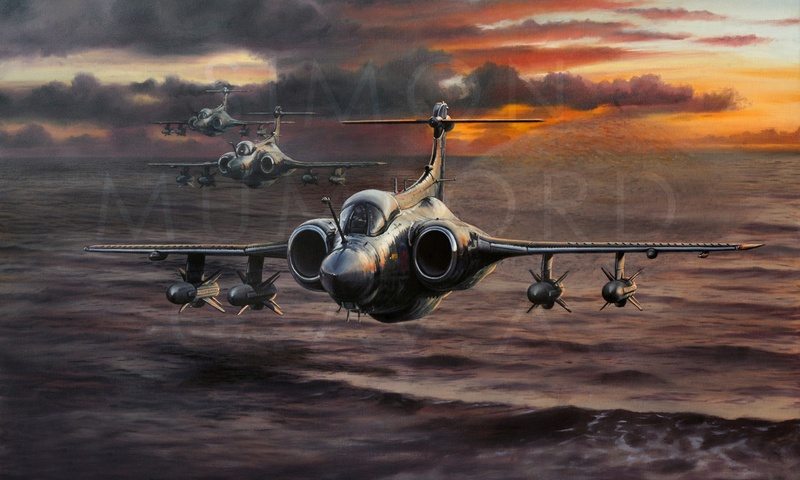 Welcome to the website of award winning aviation artist Simon Mumford. Combining a technical appreciation of the subject with the drama and beauty of sky and landscapes Simon’s artworks skilfully capture the majesty of aviation in all its myriad forms. Well known for his extremely accurate pencil illustrations, particularly of the EE Lightning, Simon has now built a reputation as a specialist in British Cold War aircraft. 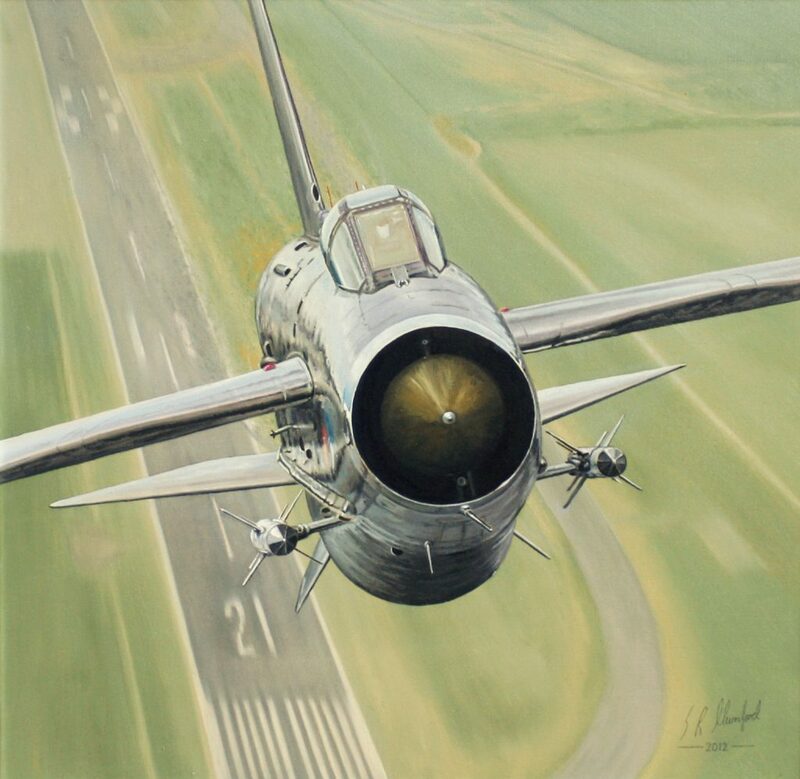 Simon is a Full Member of the prestigious Guild of Aviation Artists and has exhibited at the Annual Aviation Paintings of the Year Exhibition in London on numerous occasions. 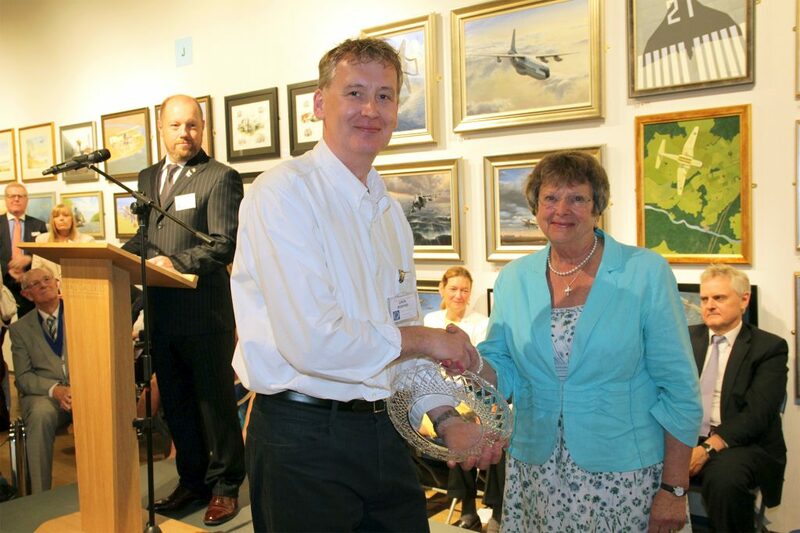 Simon receiving the Sir George Edwards Memorial Plate for ‘Twilight Thunder’ at the 2016 Guild of Aviation Artists’ Annual Exhibition, Mall Galleries, London. I have always been fascinated with aviation. Growing up near Lincoln I remember Vulcans thundering overhead on finals into Scampton and Waddington, and visiting airshows where the awesome sight and sound of a Lightning disappearing vertically into the sky made a lasting impression. It was memories such as these that inspired me to begin drawing aircraft. I began with pencil illustrations and developed a highly detailed style that I feel suits the technical and mechanical nature of the subject. In 2000 I joined the prestigious Guild of Aviation artists as a Friend and have been lucky enough to have exhibited at their Annual Exhibition for most of the intervening years. In 2016 I was proud to become a Full Member of the Guild and have also become much more involved in the organisation, particularly in designing and managing the Guild website. “Lightning Ascendancy”, an EE Lightning F.6 departs RAF Binbrook in style. Recently I had the great privilege of meeting former Mosquito pilot Flt. Lt. Colin S. Bell who completed 50 missions over Europe towards the end of WWII. 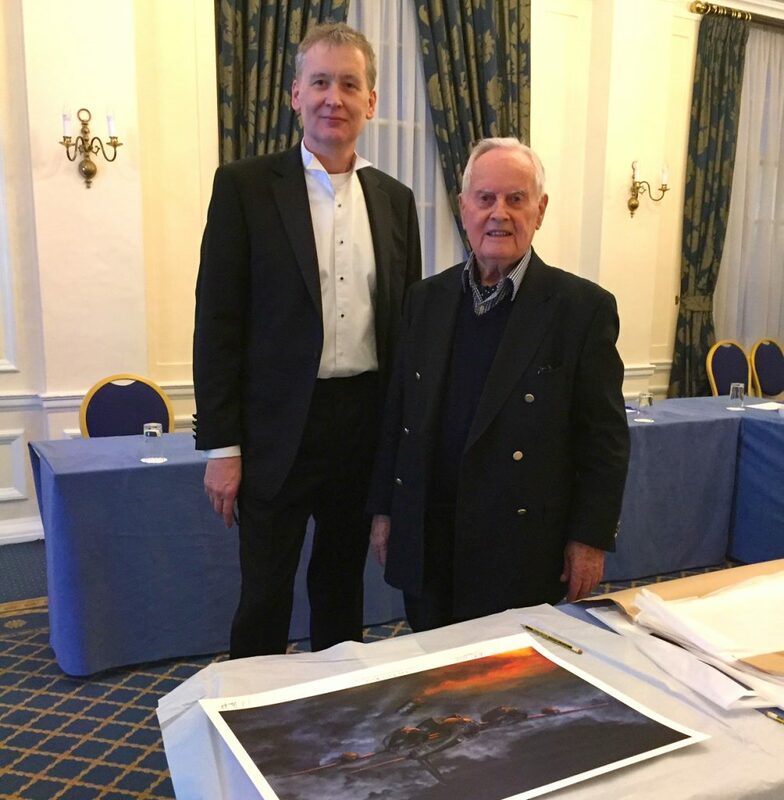 He was kind enough to sign prints of my painting ‘The Last Raid’ depicting a 608 Squadron Mosquito over Kiel. For me, this is one of the most enjoyable aspects of aviation art, the chance to meet incredible people such as Colin.